At the end of every year, it’s a good idea to review your beneficiary designations. It’s important to keep in mind any life changes you made or might make in the near future. While this doesn’t help you with your current tax obligation, it could minimize the tax obligation of your beneficiaries, should something happen to you. In addition to helping with your taxes, should you become incapacitated because of an unexpected illness or accident, your documents will be in order. If you are over 70 and a half and have retirement accounts, be sure you take the required minimum distributions before the end of the year. If you don’t, you could have a tax penalty of 50 percent of the required minimum distribution. Since IRAs and 401(k)s are tax-deferred accounts, the IRS wants to make sure it gets what it’s owed for taxes. If you are not sure of the required minimum distribution for your retirement account, contact a tax attorney. To lower your tax owed, you could also donate the required minimum distribution to a charity, but again, that has to be done before the end of the year. 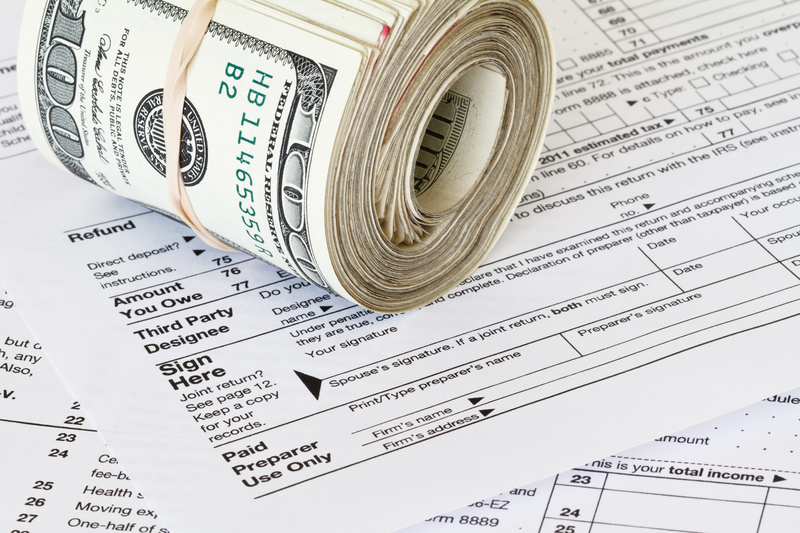 Deductions reduce taxable income and exemptions and credits reduce the amount you have to pay. Be sure you take all the credits and exemptions that you are entitled to, including medical exemptions, the earned income tax credit, child and dependent care credit, premium tax credit, and the saver’s tax credit. If you are not sure if you are eligible for a credit or exemption, your tax attorney will be able to help you with that determination. You already know that contributing to a retirement account improves your financial future. It also lowers your tax bill for the current year. Try to max out IRA contributions each year. If your employer matches your contributions, be sure you contribute enough to capitalize on that. Contributions to an IRA are accepted up to the April tax filing deadline and you may be able to deduct some or all of the funds through the Retirement Saver’s Credit. Trying to track down all of your documentation just adds more stress to tax time. Before you are ready to file, you should have all documents accounted for, including receipts into files. You should also make copies of all documents you are giving to your tax attorney so you have a copy of everything. To make this easier, create folders for each document and file them in the appropriate folders starting at the beginning of the year. Receipts should also be separated. For example, keep separate folders for categories such as office supplies, maintenance, office bills, and rent or mortgage payments. As you file each document, make a copy of it and keep it in a separate file right behind the file for the originals. This way, you won’t be rushing to make copies and separating everything before you hand it all over to your tax attorney. When your tax documents start coming in, including W2s, 1099s, and other documents, make copies. Keep them all in one file. You may want to separate them with dividers for different types of income including regular income, rental income, and interest income. Don’t forget to document alimony received or paid. It’s counted as income for the person receiving it and a tax deduction for the person paying it. When you are ready to have your taxes done or if you have questions regarding personal or business taxes, especially with the new tax laws, contact France Law Firm to set up a consultation.